Hickson 61 or the "Box" in the constellation Coma Bernices is the centerpiece of the image. However the high resolution image shows several hundred faint galaxies in this 30 hour "SSRO Deep Field". The image is remarkable in that it shows the multitude of red shifted objects. Consultation with Robert Bateman reveals these to be with certainty 25th magnitude and some perhaps 26th mag, making this indeed an amateur deep field. 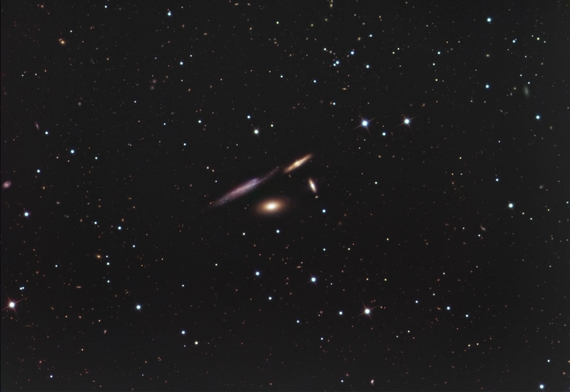 The image above gives the NGC designations of the Hickson 61 group members.